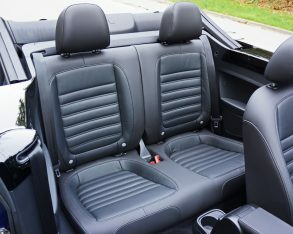 stylish as it was when new, with the added benefit of being much more appealing to the more masculine set. 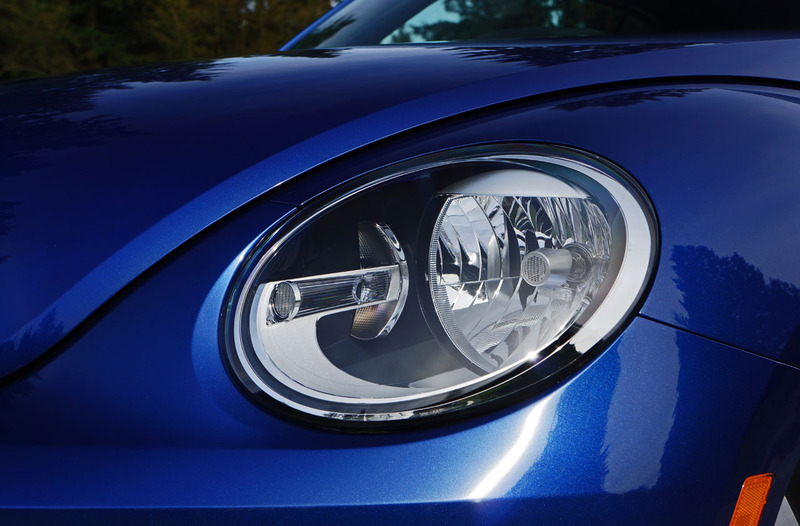 look ingratiating the pudgy little 2015 Mini Cooper Hardtop’s face, its main retro rival. 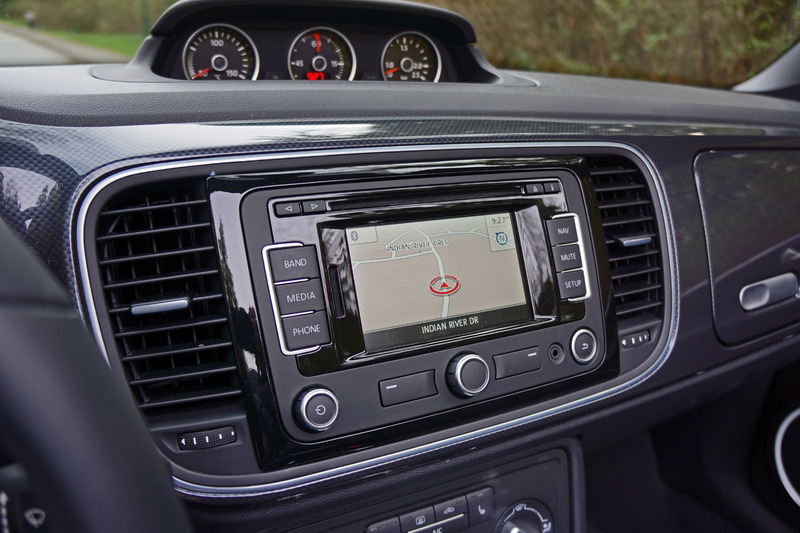 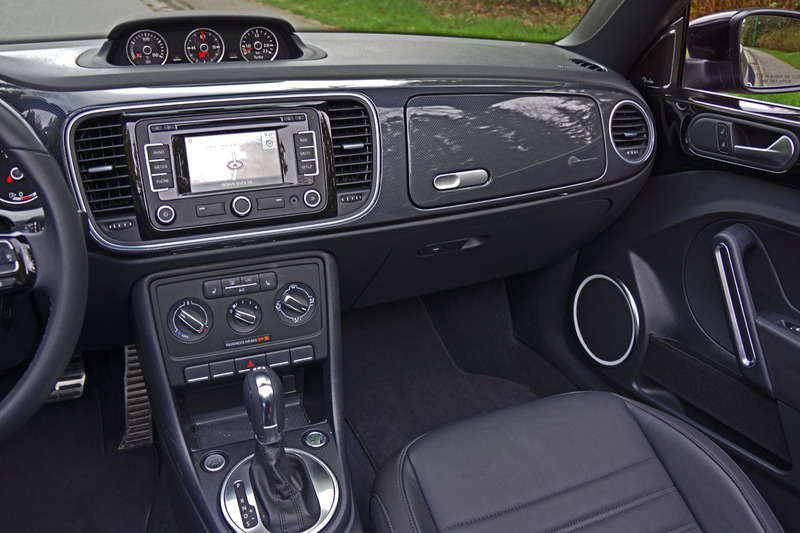 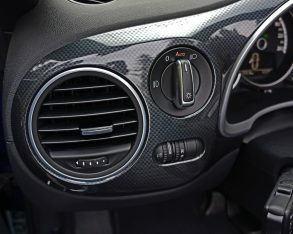 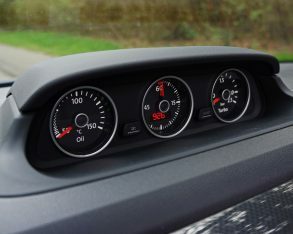 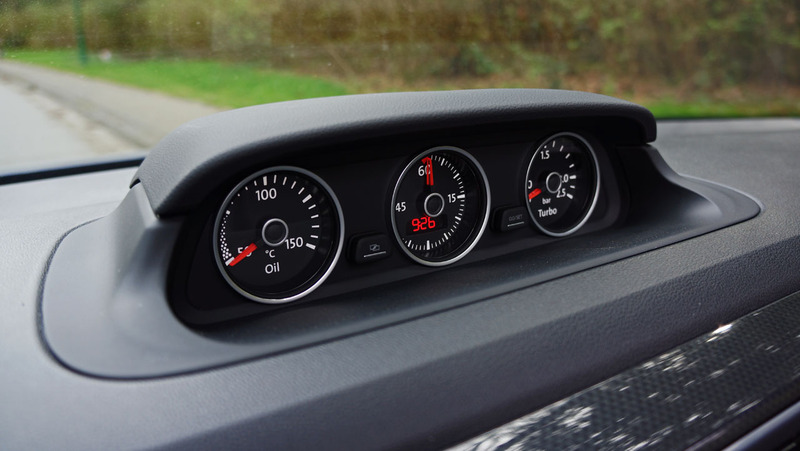 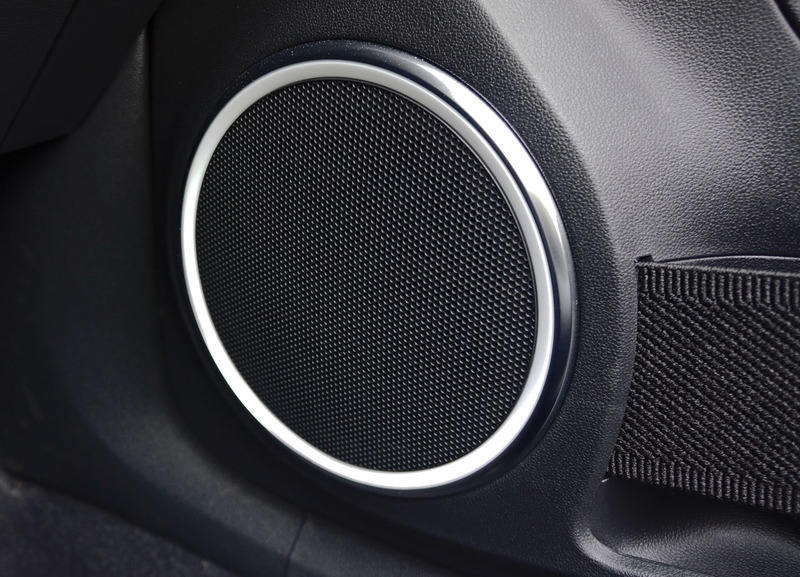 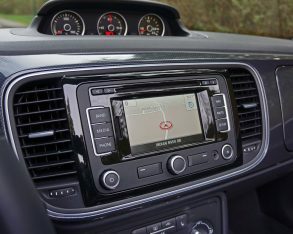 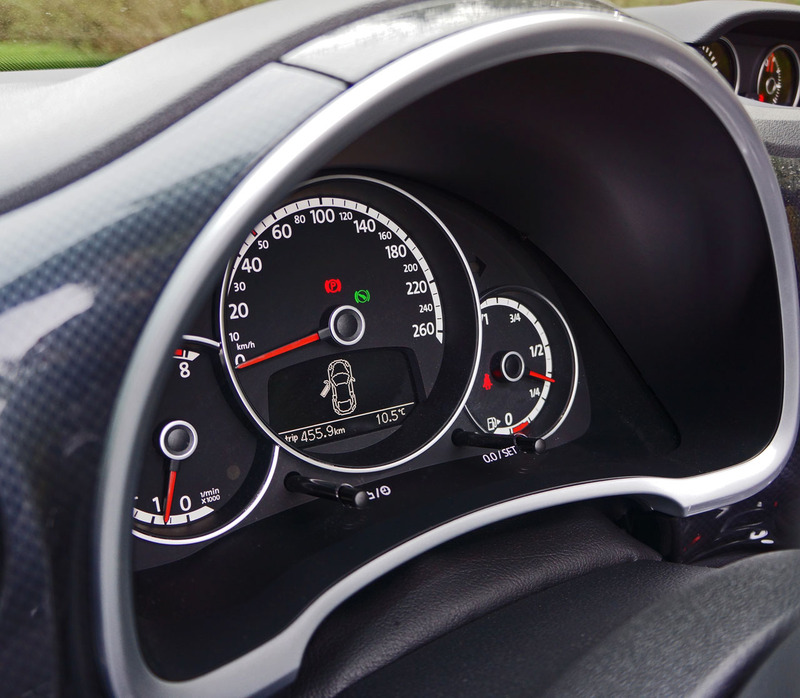 slick navigation system gets added to the Beetle’s small but superbly designed five-inch touchscreen infotainment system. 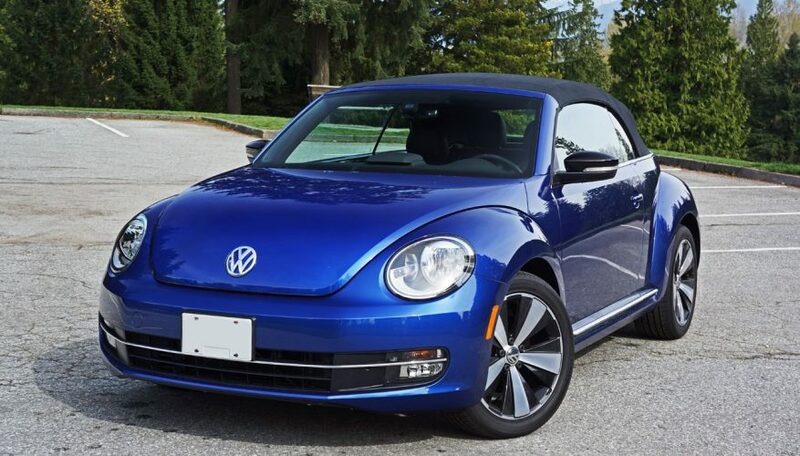 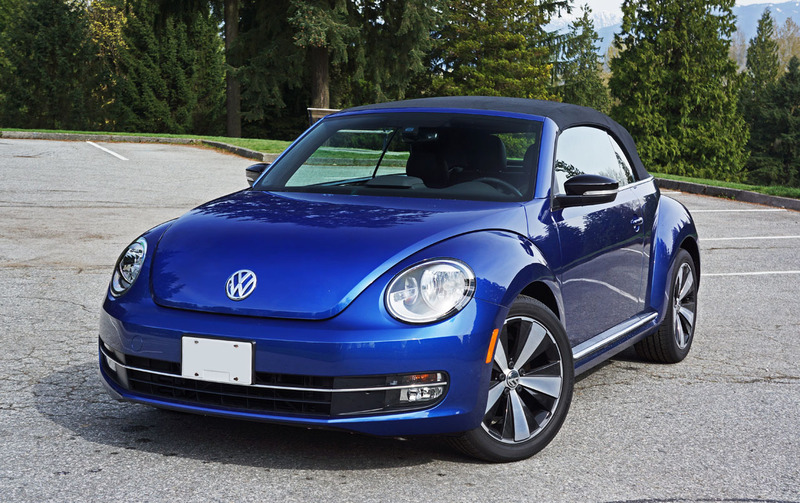 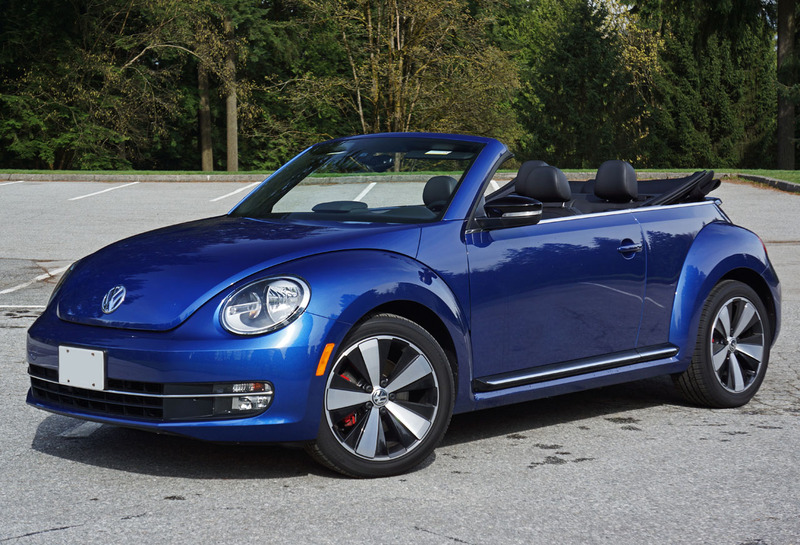 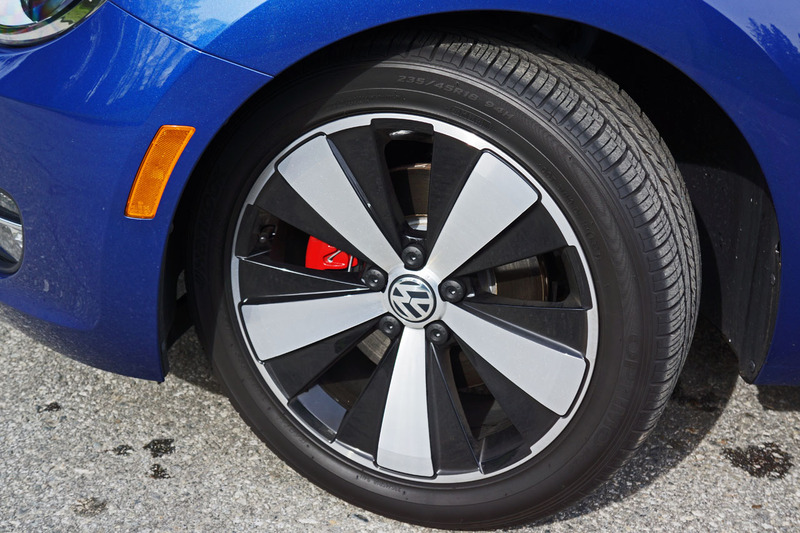 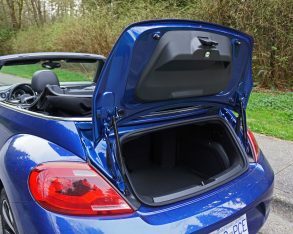 to add any options to the $36,850 Beetle Convertible Sportline (plus $1,395 for freight and pre-delivery prep), just a list of the usual accessories you can choose at the dealer level. 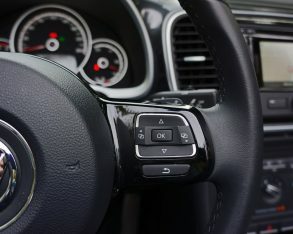 the steering wheel. 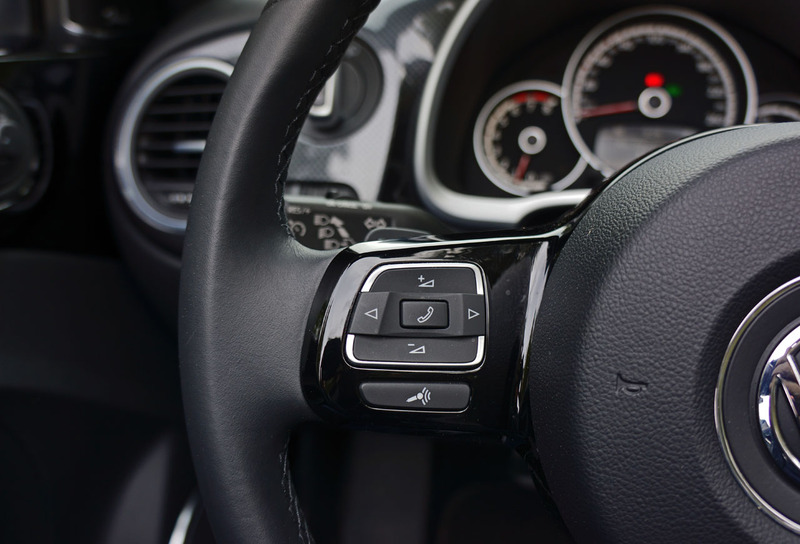 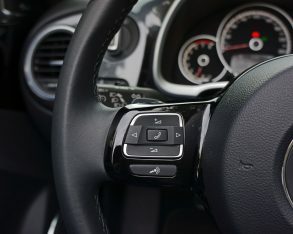 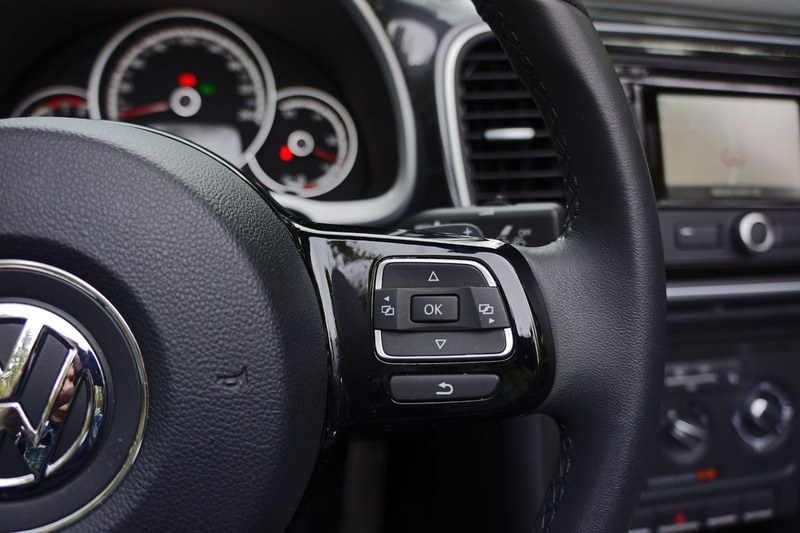 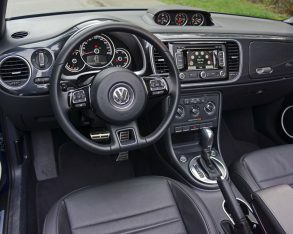 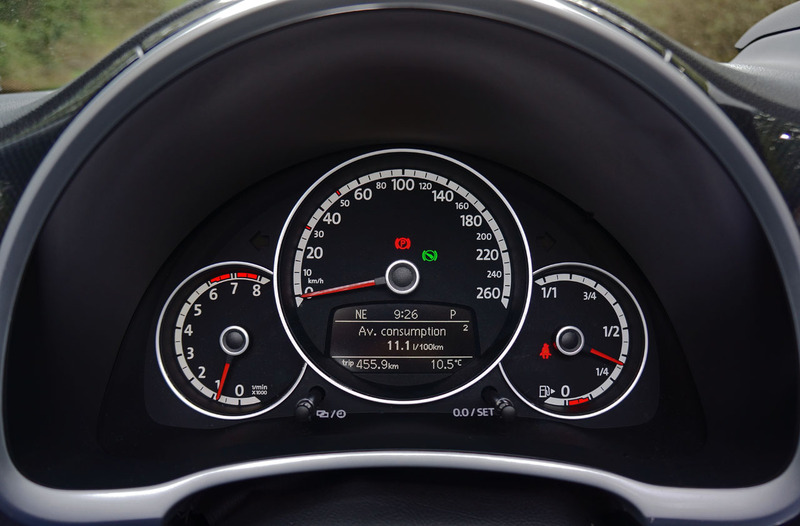 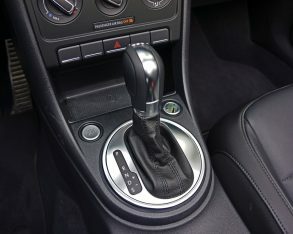 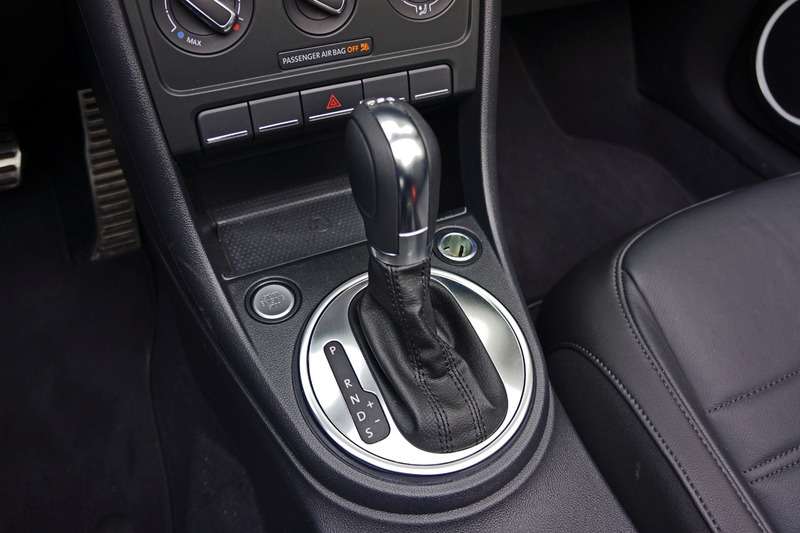 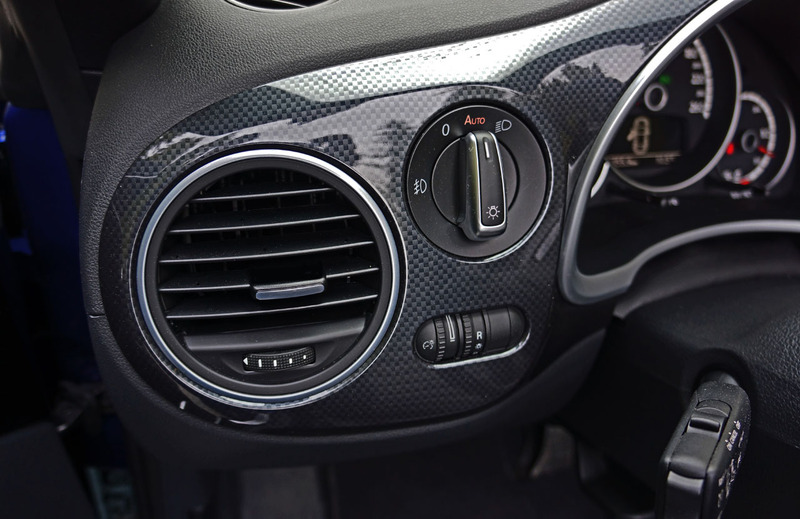 Back then we couldn’t have dreamed up anything like today’s shifter paddles, but in the Beetle Sportline they make rowing through the DSG’s six forward gears a thoroughly engaging experience, especially when Sport mode is dialed in. 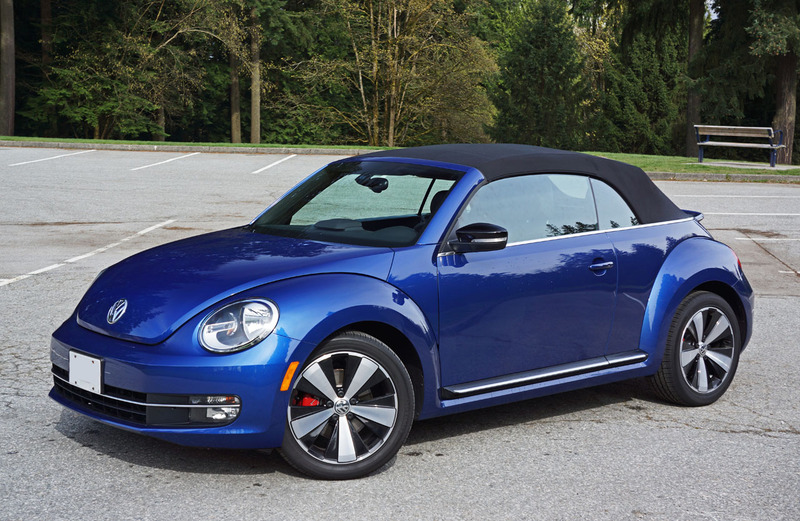 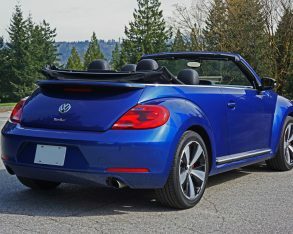 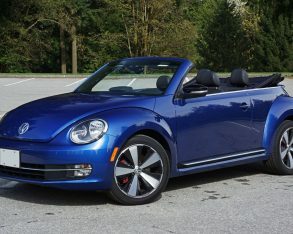 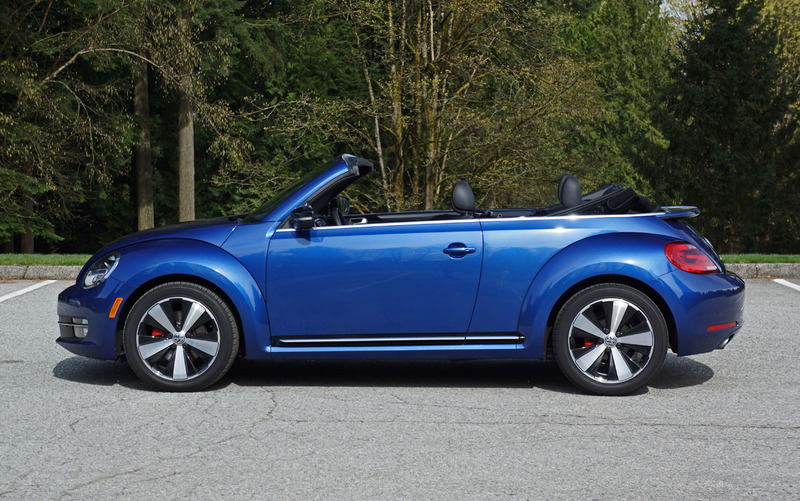 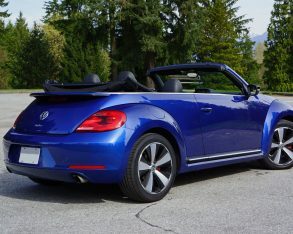 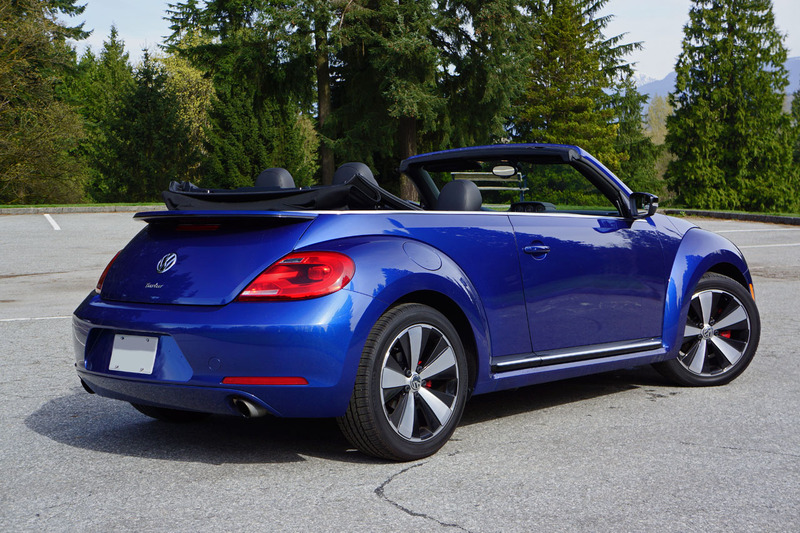 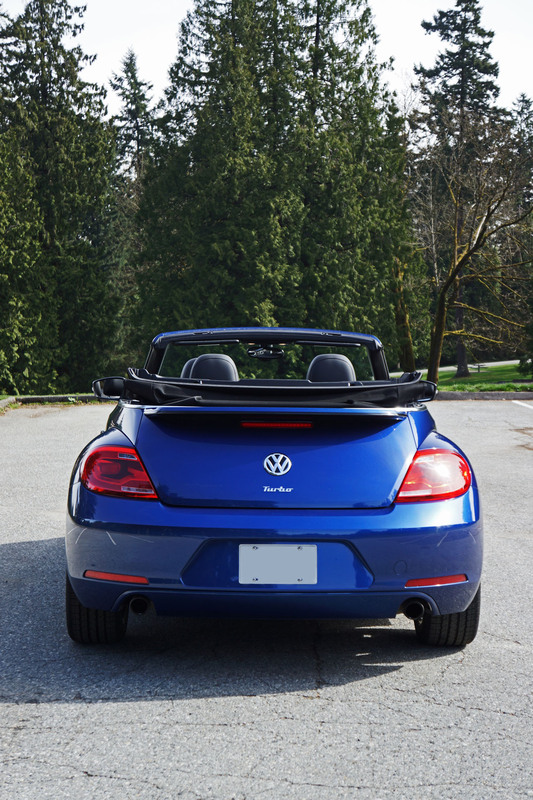 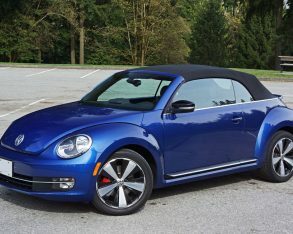 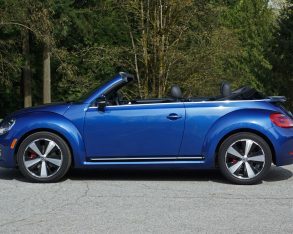 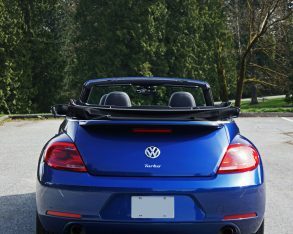 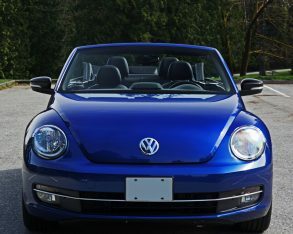 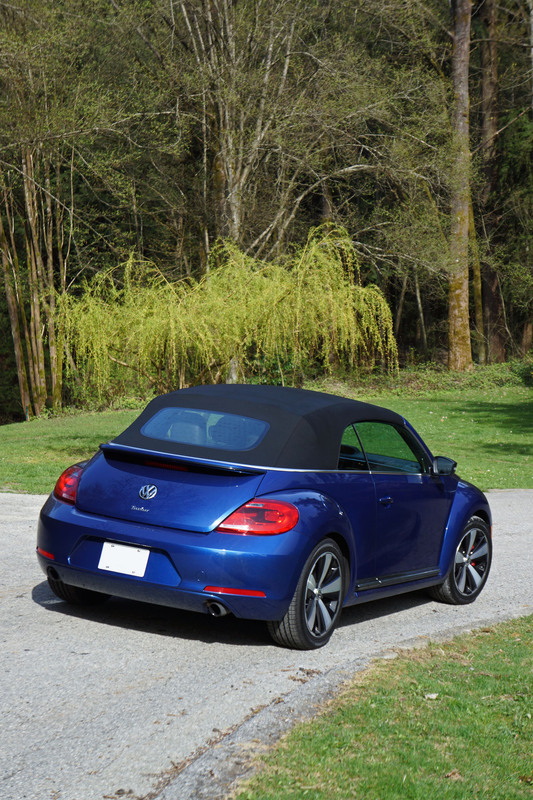 Likewise the Beetle Convertible Sportline is a load of fun through the curves. 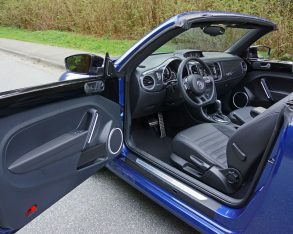 The car’s independent front strut and four-link rear suspension setup is inherently good, enhanced by the Sportline’s aforementioned sport suspension and those bigger, fatter tires I also spoke of earlier, for a lot of grip when pushed hard. 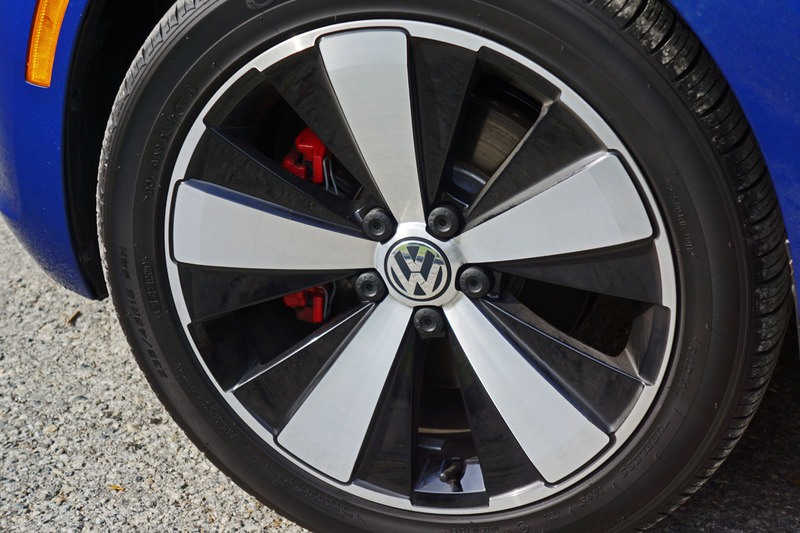 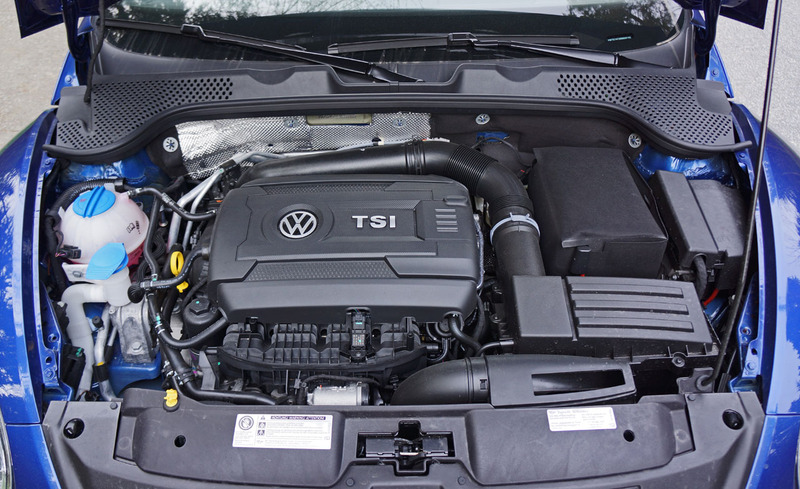 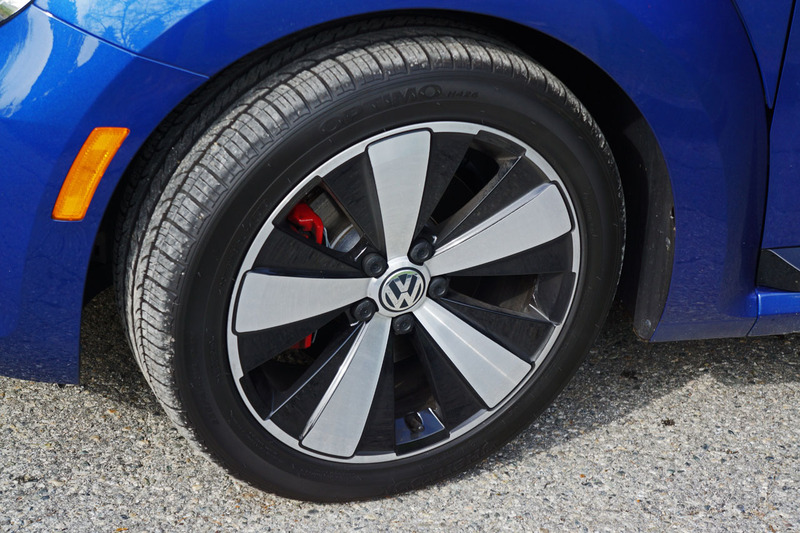 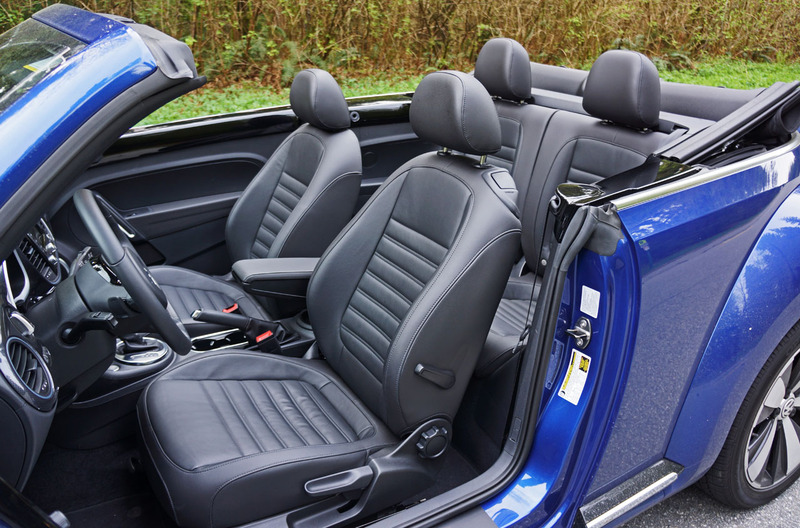 I’m not going to say it feels as confidence inspiring as a Golf GTI, but few compacts do. 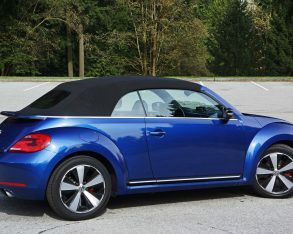 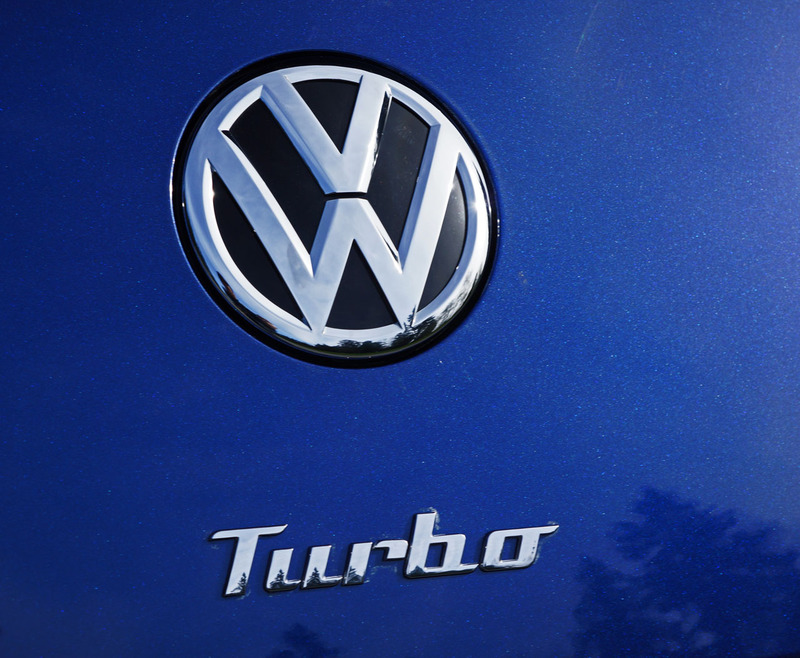 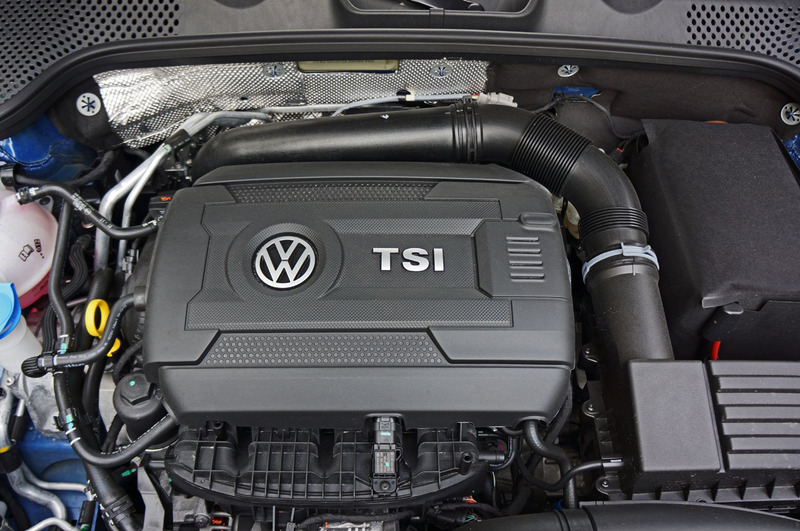 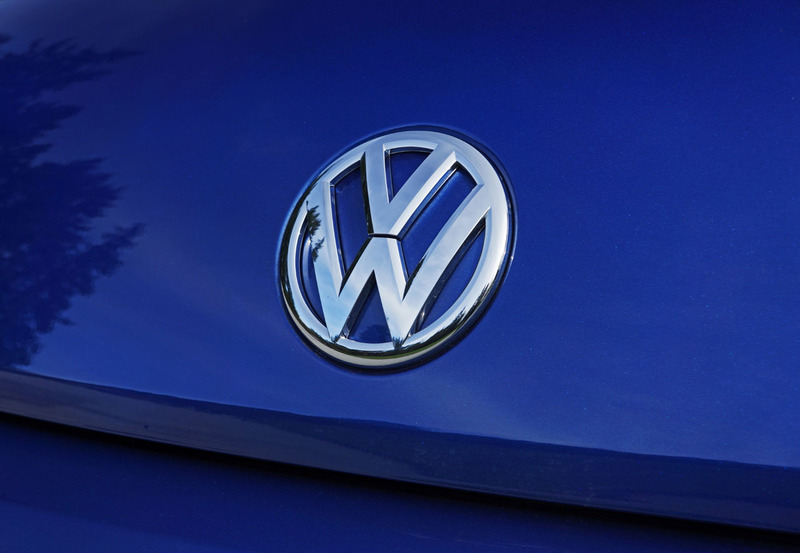 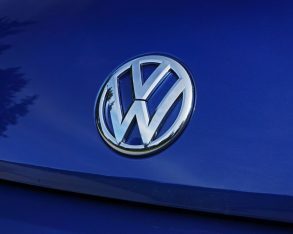 Rather, it comes pretty close to emulating its hatchback sibling, in a more upright classic VW fashion. 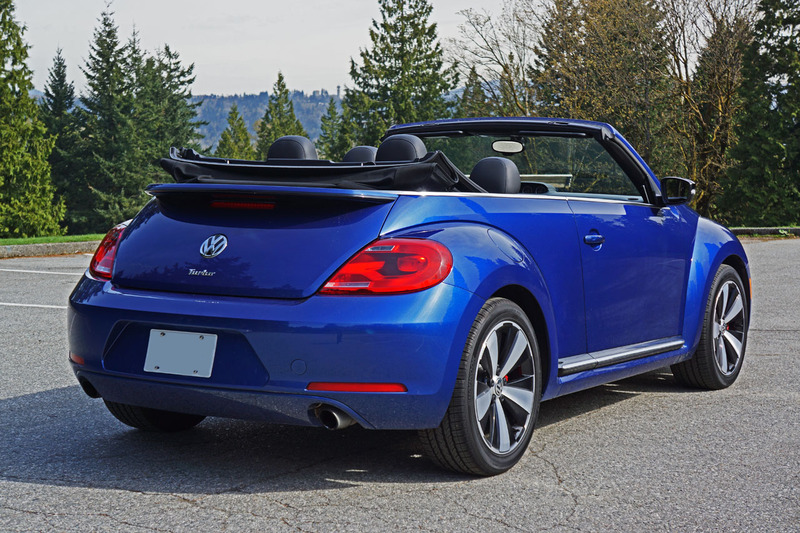 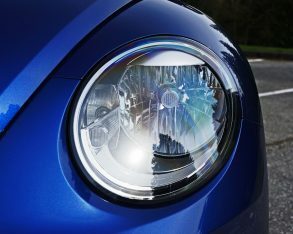 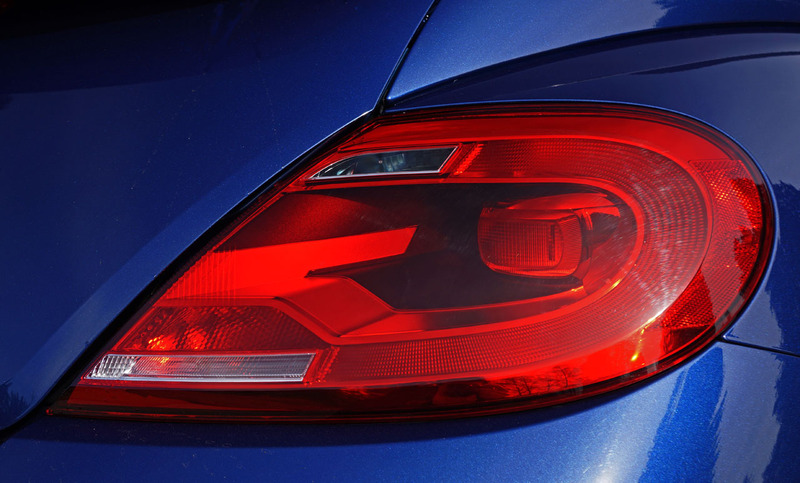 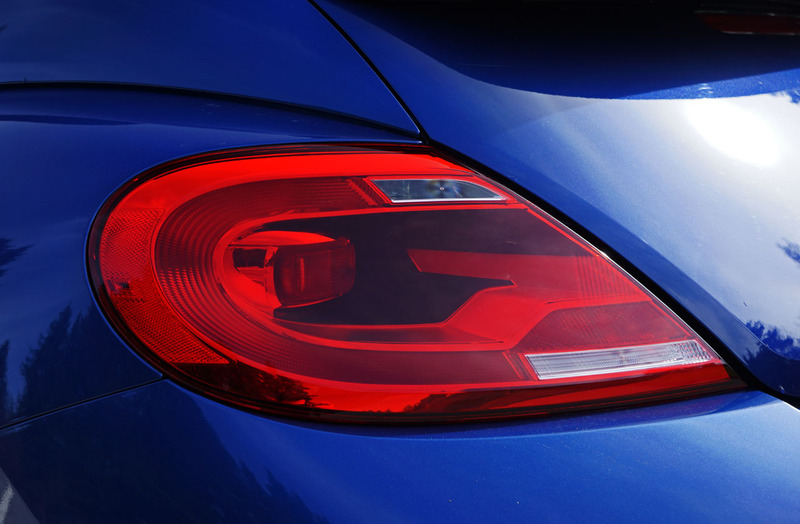 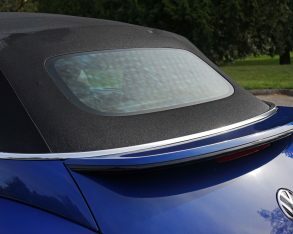 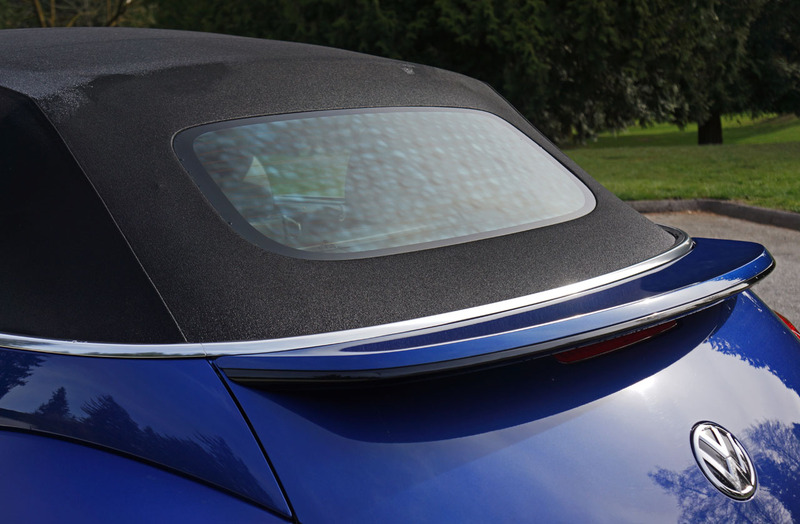 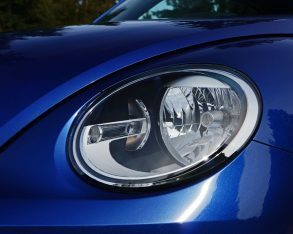 in mind, front seat headroom, while limitless in convertible guise, is a Beetle attribute that few competitors can measure up to when tops are raised. 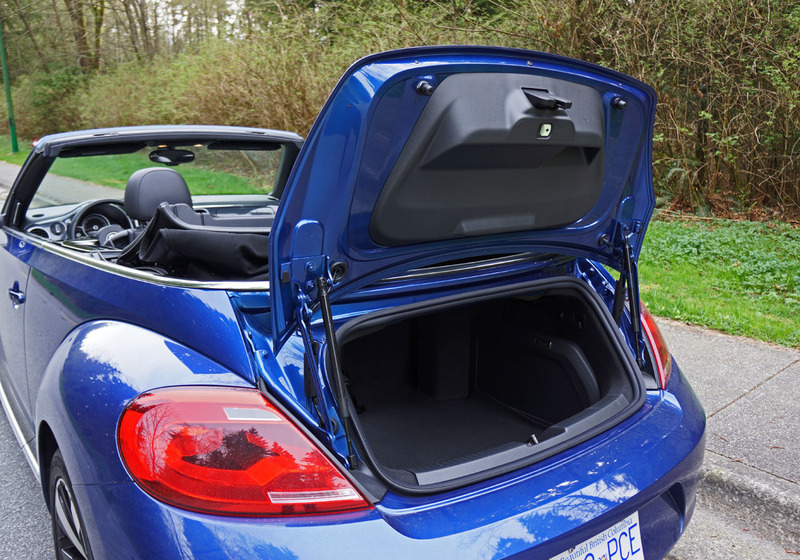 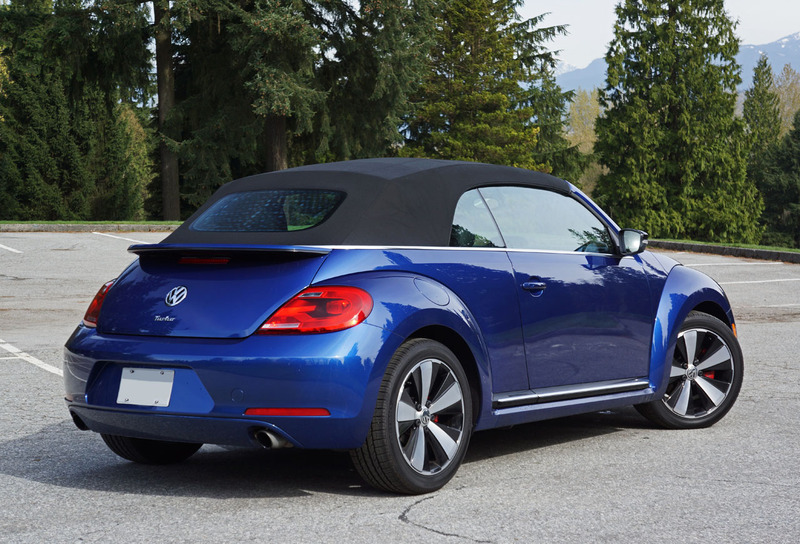 The Beetle Convertible’s fully powered fabric roof can be raised in easily enough time to take advantage of a stoplight pause, sealing off the world in a well-insulated cocoon that makes it feel more coupe-like than otherwise. 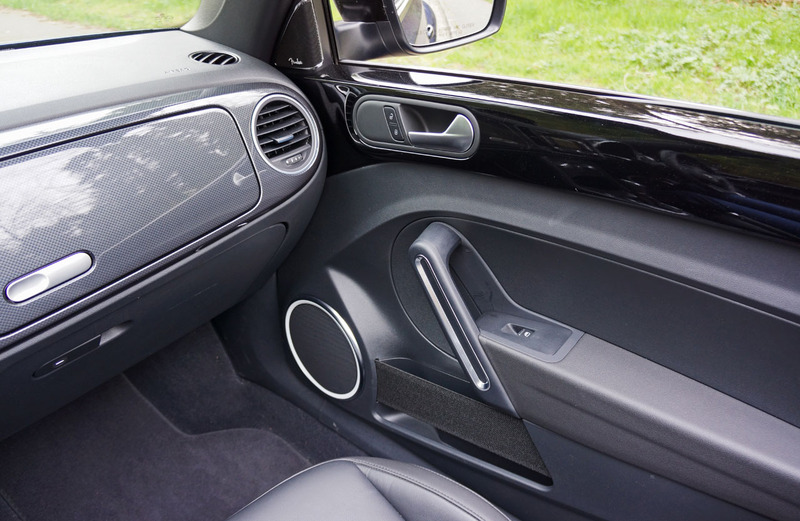 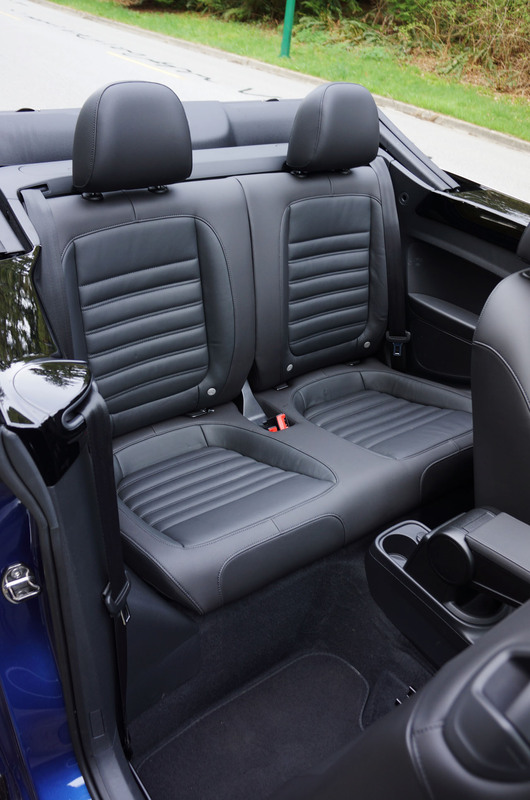 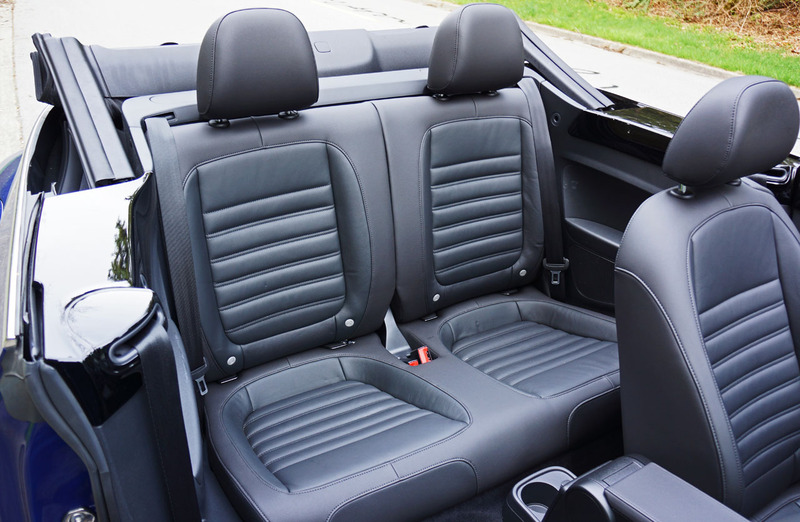 While the front seats are spacious, those in back might feel a bit more cramped unless smaller sized. 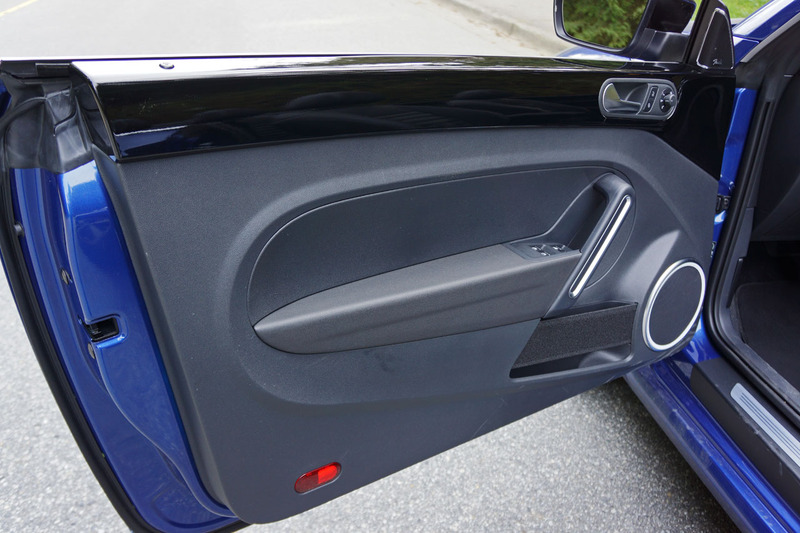 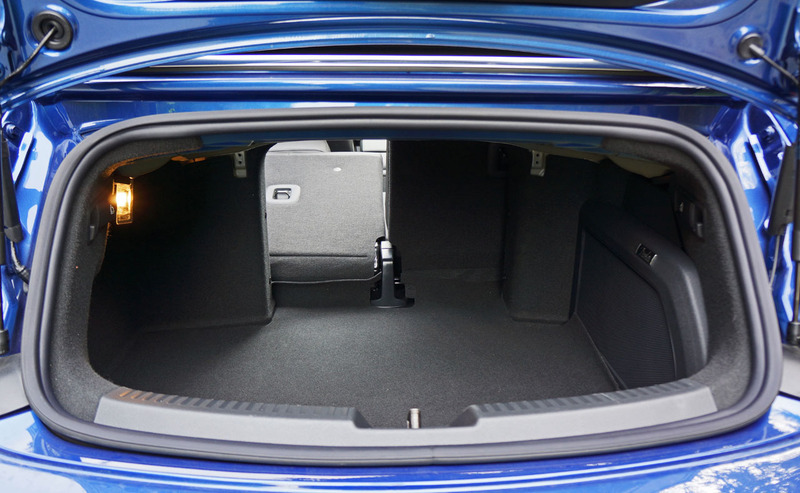 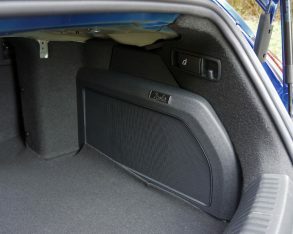 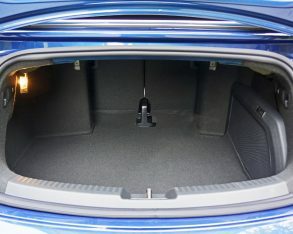 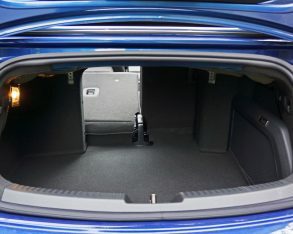 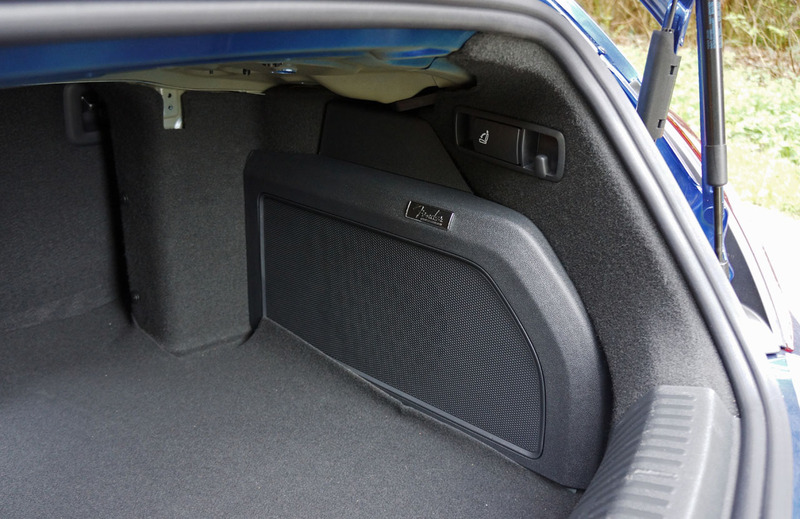 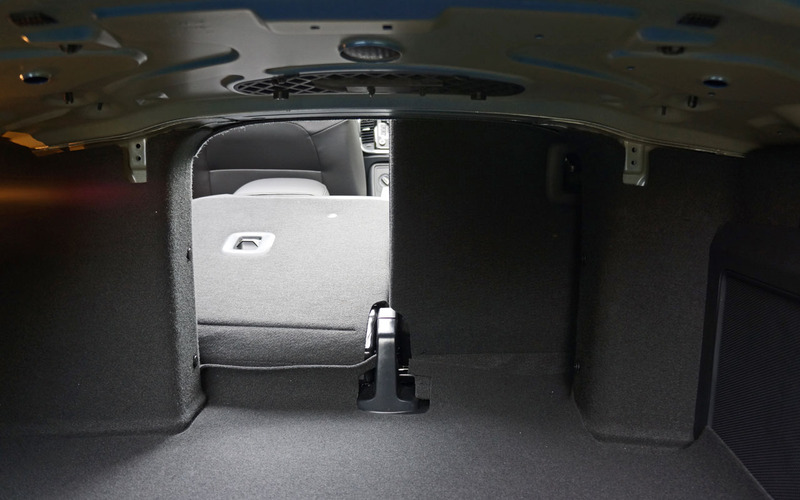 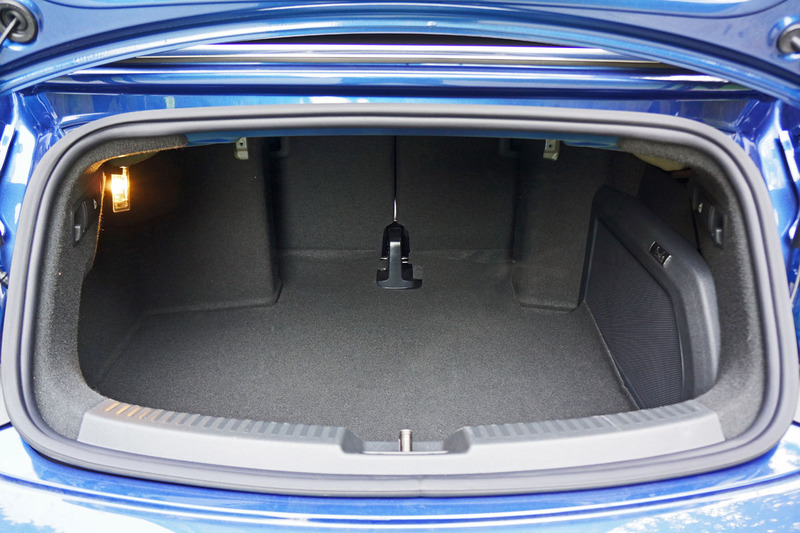 Likewise the 50/50 split-folding rear seatbacks came in mighty handy when attempting to load longer items into the similarly abbreviated 201-litre trunk. 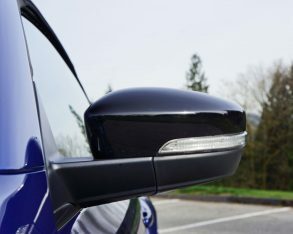 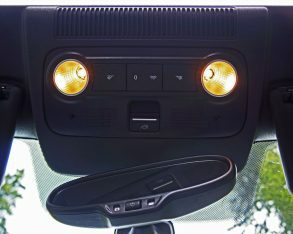 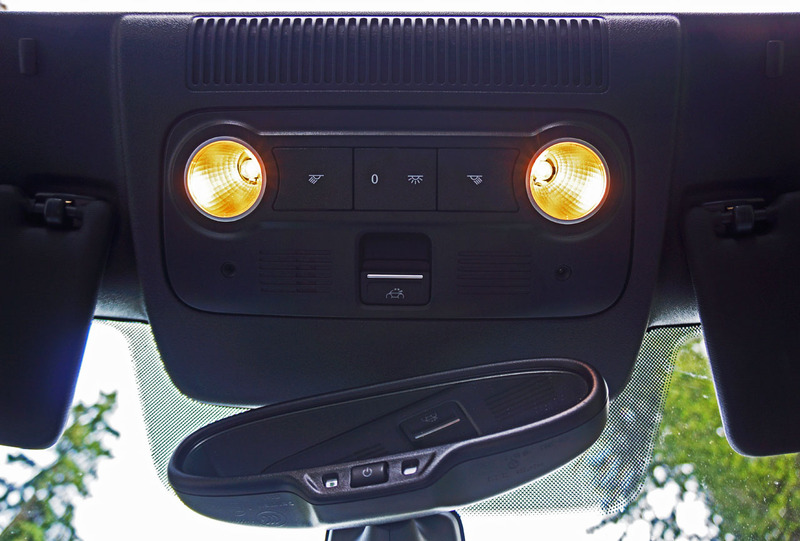 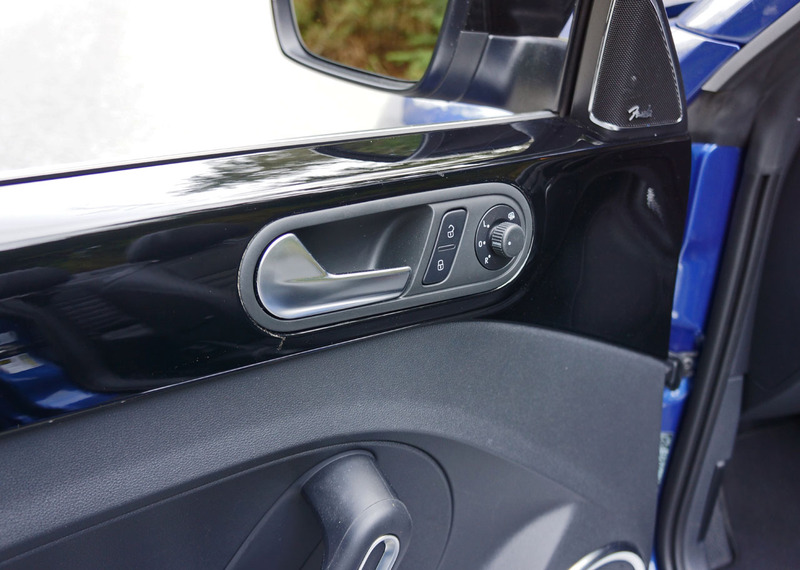 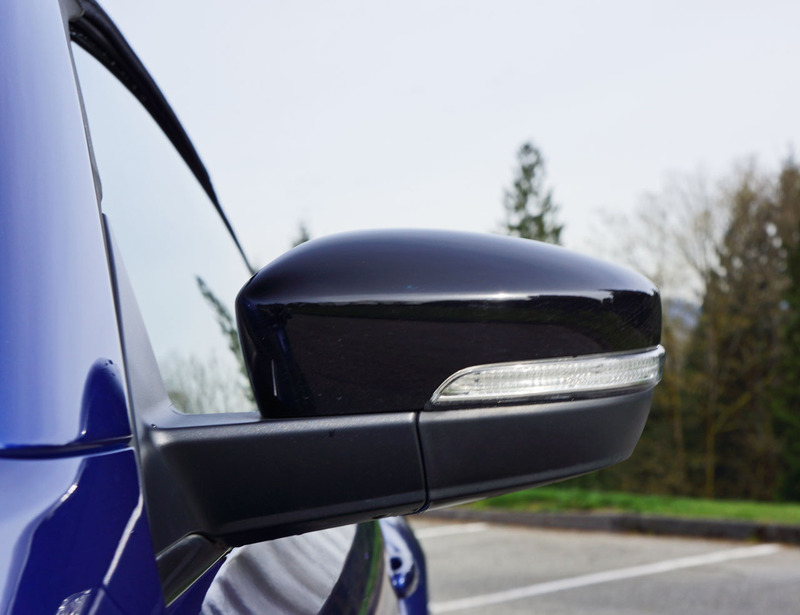 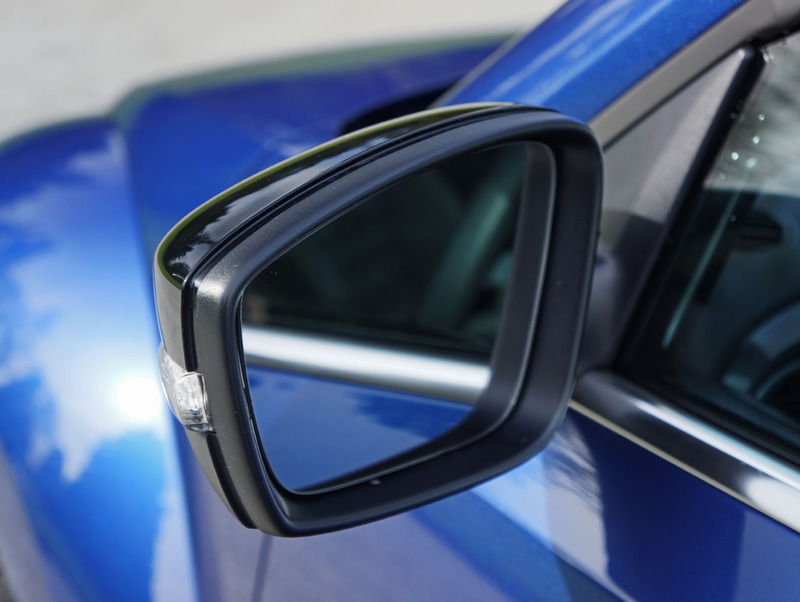 and Bluetooth phone connectivity, power adjustable and heatable side mirrors, daytime running lights, plus LED turn signals on the exterior mirror housings. 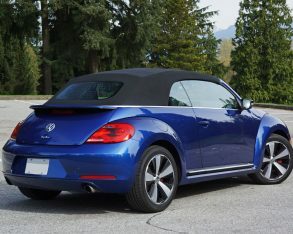 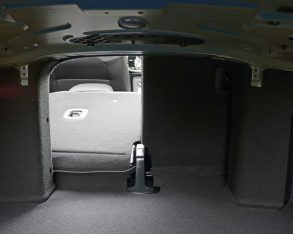 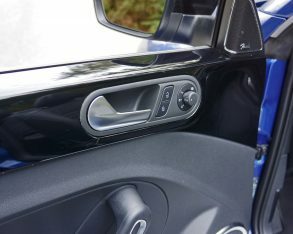 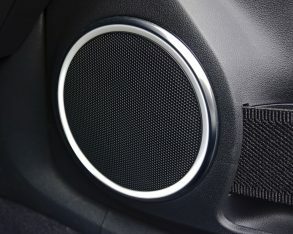 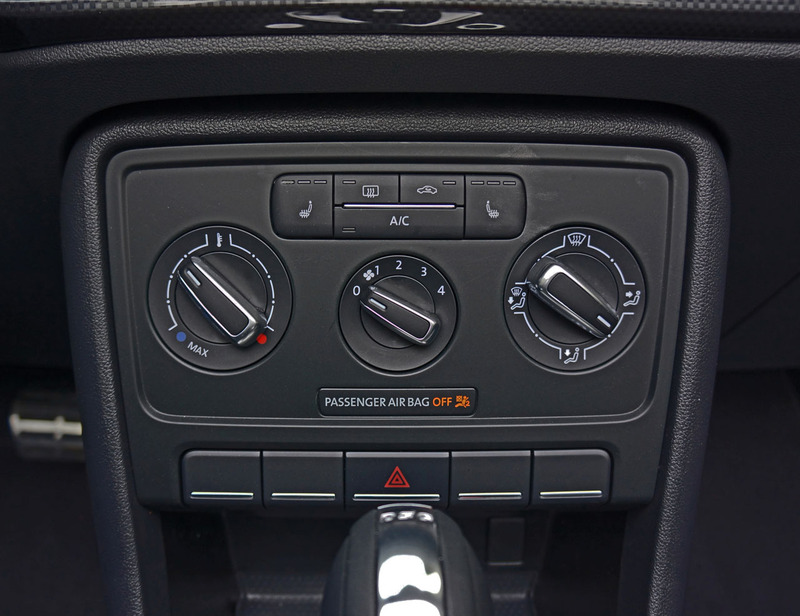 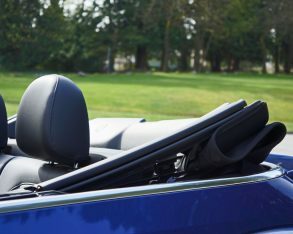 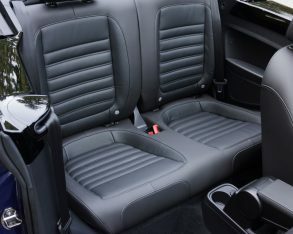 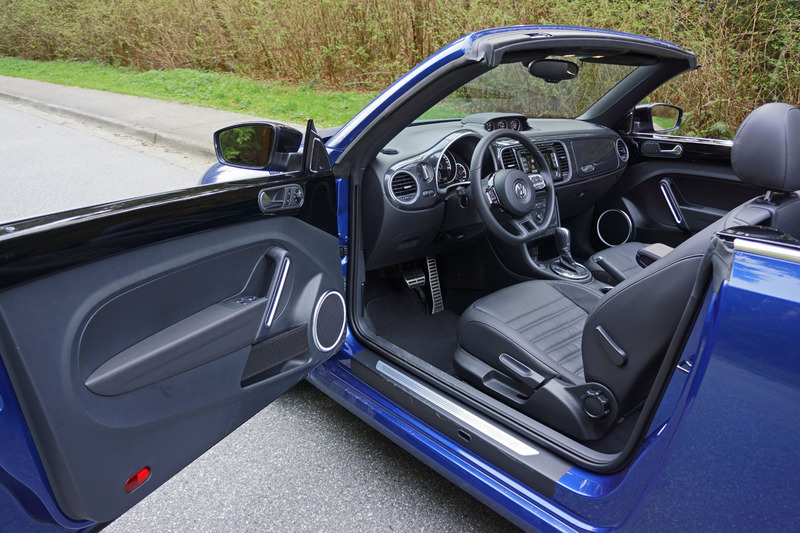 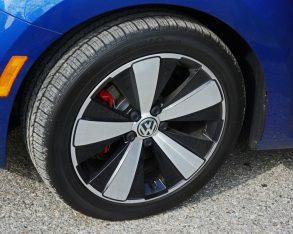 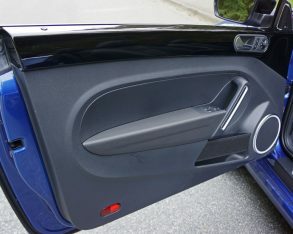 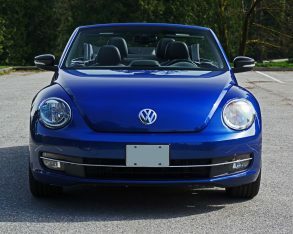 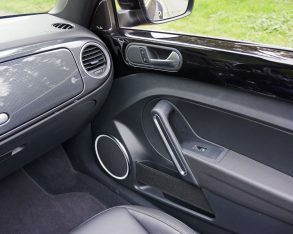 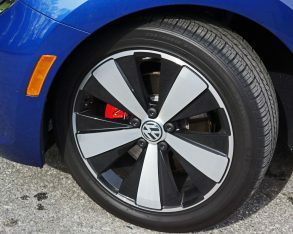 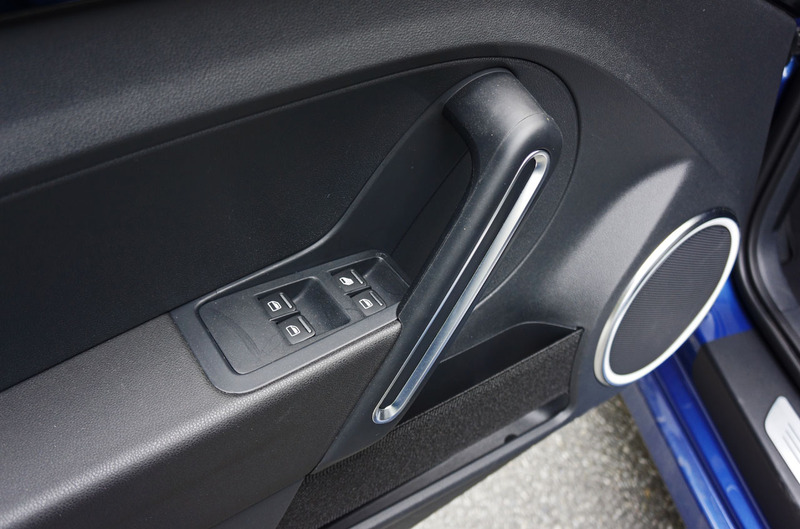 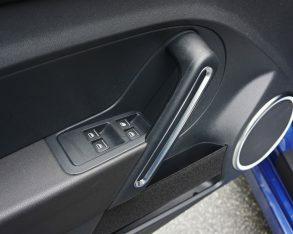 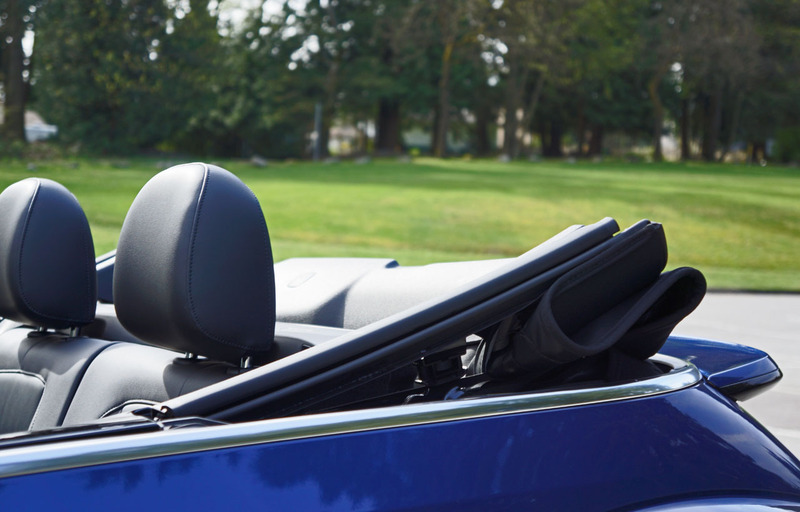 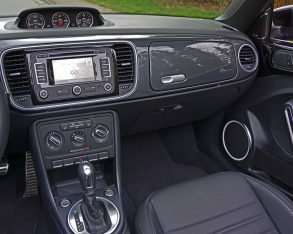 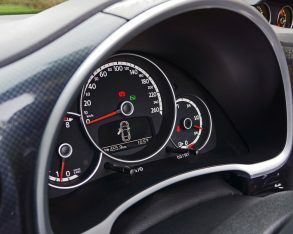 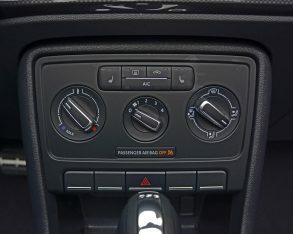 Along with a full assortment of airbags plus active safety that includes traction and stability control as well as ABS-enhanced four-wheel disc brakes, all Beetle Convertible trims get active rollover protection that includes roll bars hidden behind the rear seat head restraints that automatically deploy if a rollover is imminent. 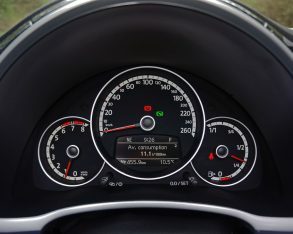 and a little less thrifty on the highway at 6.8. 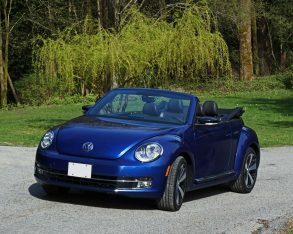 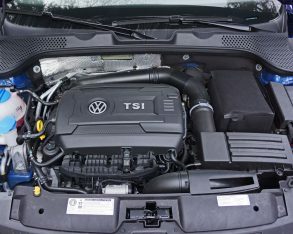 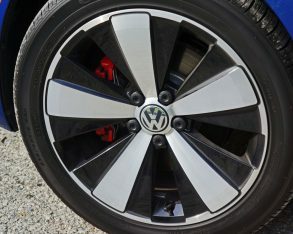 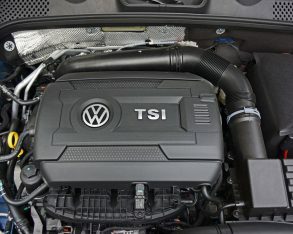 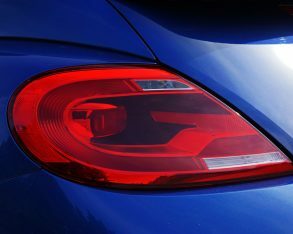 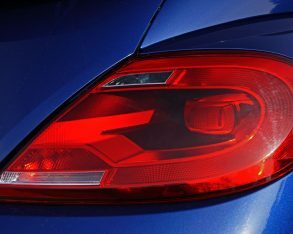 If you want a car that’s even stingier at the pump, a Beetle Convertible powered with Volkswagen’s 1.8-litre four-cylinder is good for a claimed 8.5 in the city and 6.1 on the highway via its standard six-speed automatic transmission, and the car puts out a pretty decent 170 horsepower and 184 lb-ft of torque, so it’s not like you’ll be missing all that much in straight-line performance. 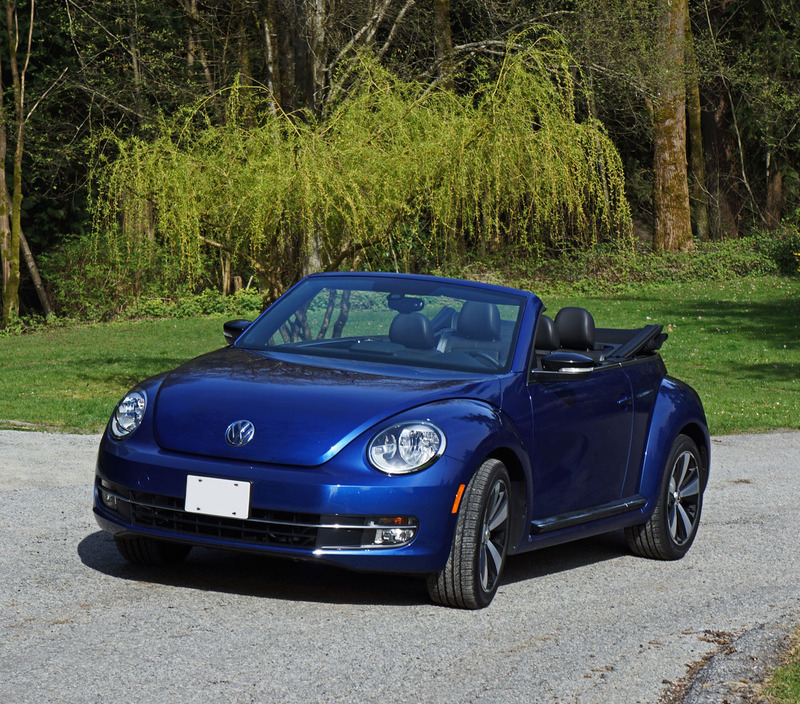 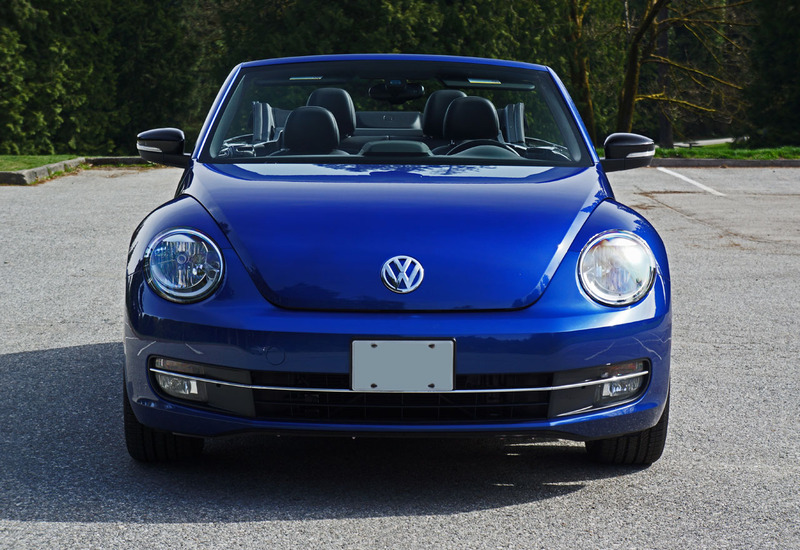 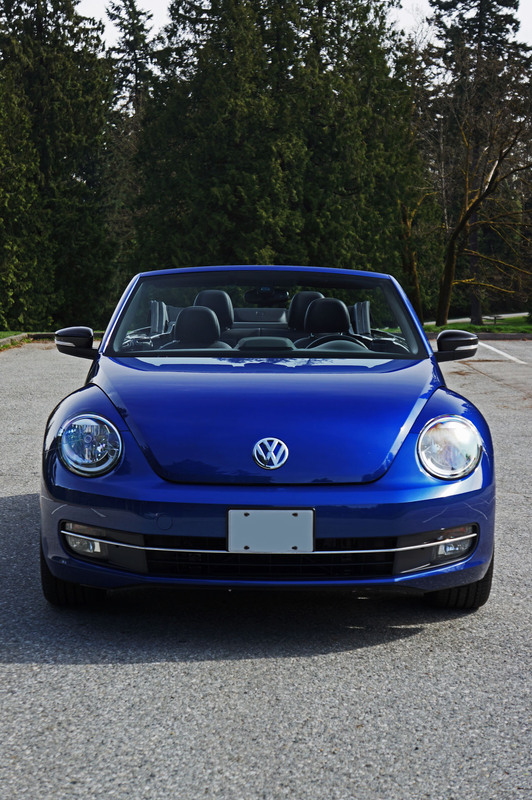 Expect all of these numbers to change for the 2015 model year due to Transport Canada’s stricter five-cycle test, but they’re useful for comparing the Beetle Convertible’s mileage to other 2014 model year cars just the same. 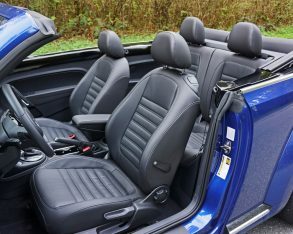 the aforementioned Mini Cooper Convertible, Fiat’s smaller 500C that’s not quite a full drop-top, and maybe the Mazda MX-5, although it’s missing rear seats. 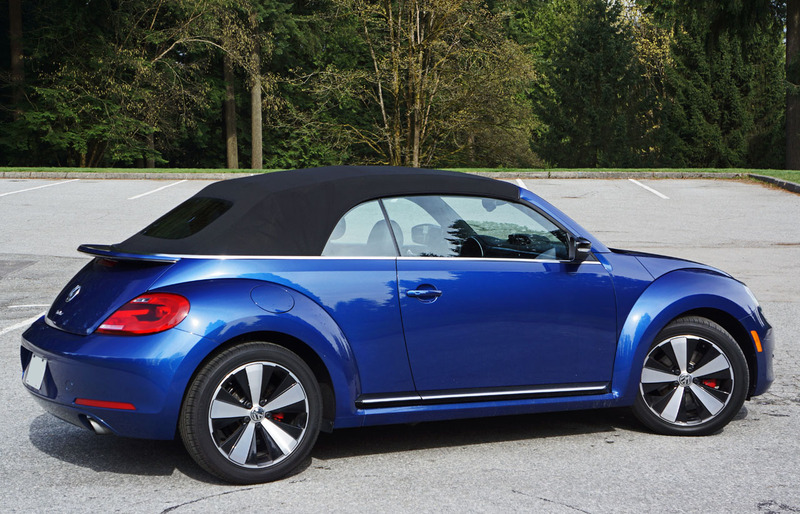 No, Volkswagen has carved out quite the comfortable little niche for the Beetle drop-top and its hardtop sibling, so it’s great to see they’ve brought such an impressive successor to carry the classic shape forward into the future. 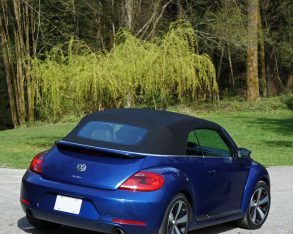 The Beetle isn’t merely a fun-loving cutesy compact paying half-hearted tribute to its rear-engined ancestor’s history anymore, but rather this redesigned model is a very competent car all on its own.